Isabel Foxen Duke was featured on ep. 30 of the BodyLove Project podcast and this week she is BACK with a totally new, interesting, and important conversation. 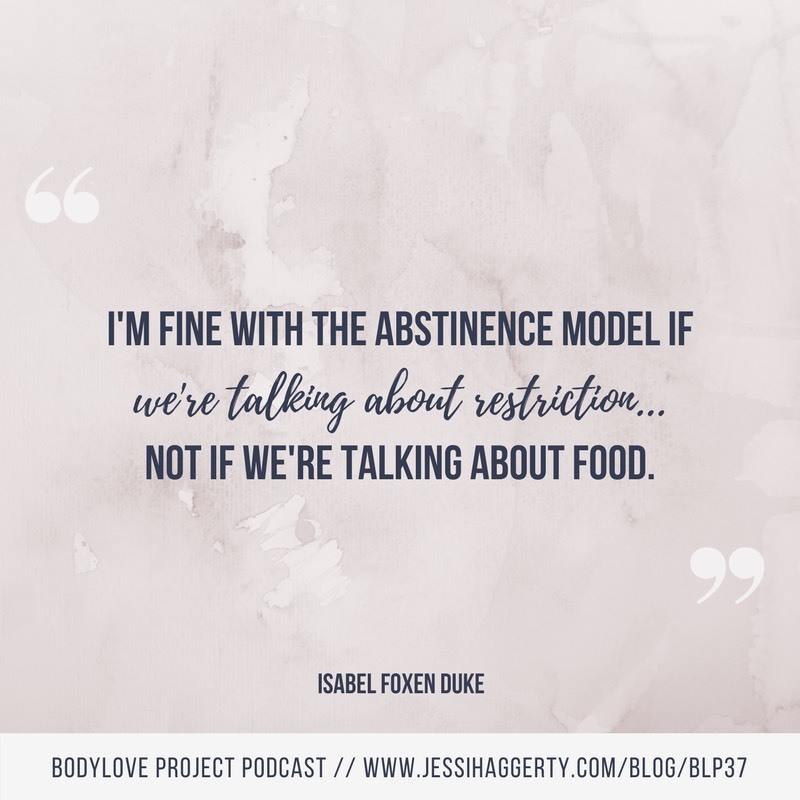 This episode will kick off the first of a three part series about the intersection of eating disorders and substance use disorders and in this episode, Isabel is sharing her personal experience with a co-occurring diagnosis. Interestingly, she highlights that her recovery from her substance use made recovery from her eating disorder difficult and confusing as she quickly got shuttled from AA (Alcoholics Anonymous) to OA (Overeaters Anonymous) to help her control her “binge eating” and “food addiction”. It wasn’t until Isabel was out of treatment that she later discovered that her compulsive eating was a direct result of restriction and definitely not due to a food addiction. We dig deep to explain why so many of us have bought into the food addiction myth, and some simple ways to overcome feelings of food addiction.